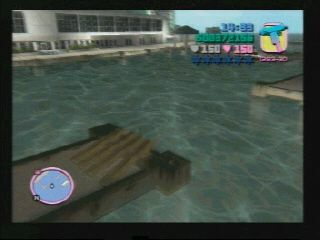 This is the first of two jumps out on the jetty that Colonel Cortez's boat is located. This first jump leads directly to another Jump. You may find it best to use a bike for this jump.